This translated quote is given in a book on Paracelsus by Walter Pagel. It appears in a paragraph concerning how Paracelsus used the term “Prime Matter” as an immature material which is worked upon and converted into a finished product “ultimate matter” by the chemist. 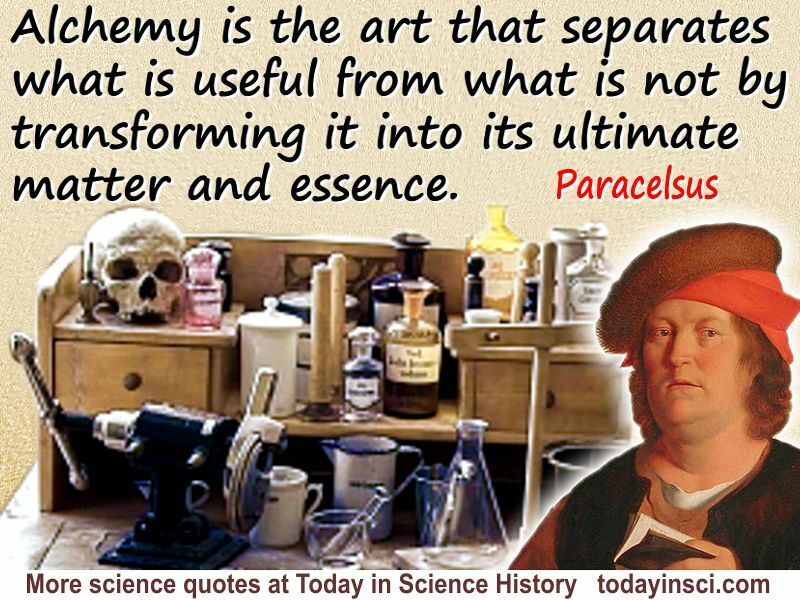 Science Quotes by Philippus Aureolus Paracelsus. 1 May - short biography, births, deaths and events on date of Paracelsus's birth. The Hermetic and Alchemical Writings of Paracelus, by Paracelsus and Arthur Edward Waite (editor). - book suggestion.